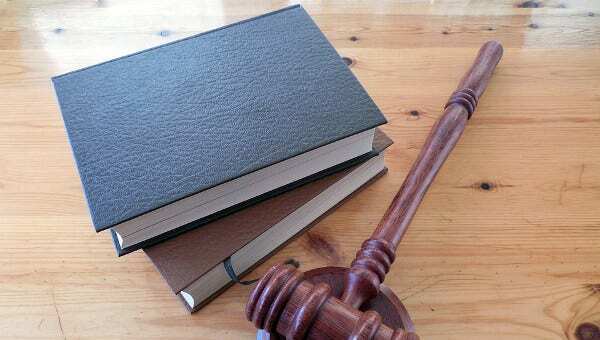 Law & Legal Joomla Themes & Templates are created for the lawyers agencies and have numerous short codes helping the development of the elements of the website. These themes are loaded with features like alternative module layouts, Back to Top Button, Modules Bundle Install, commenting system and a lot more. 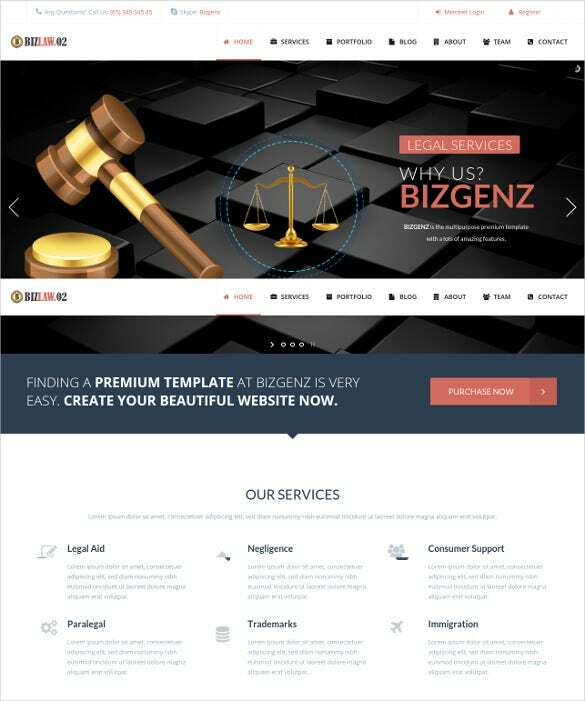 These templates are coded using LESS, Semantic Code, CSS 3 and JQuery.You May also Visit Law & Legal WordPress Themes &Templates. 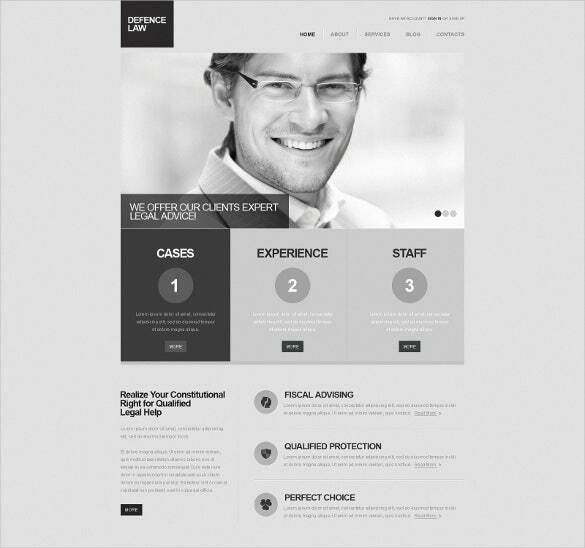 This sample of defense law and legal Joomla template is designed on a black and white background, which gives it a very professional look. The template is very easy to edit and offers the user the benefit of HTML plus and JS animation. The language used for coding includes CSS3, HTML5, Semantic Code and JQuery. 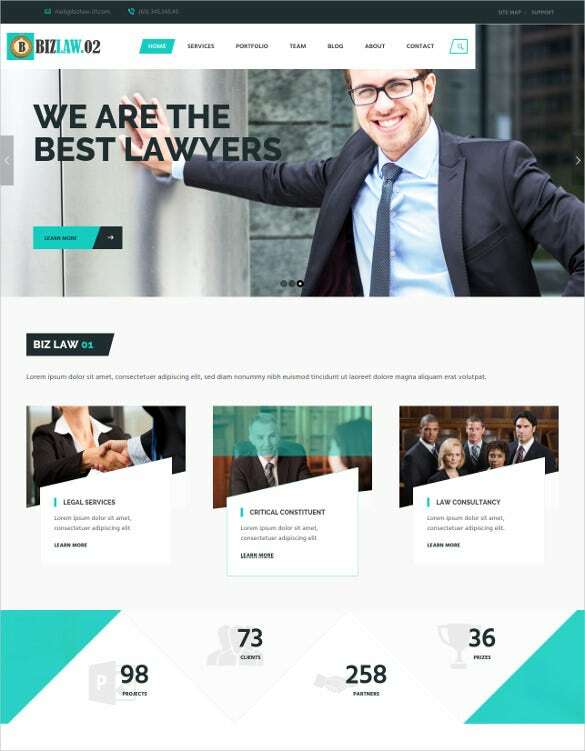 This sample of responsive law and legal business Joomla template is meant for law firms and individuals who are interested in setting up their own business practice. Various features included in this sample include responsive design, layout builder, unlimited module position, rapid contact module and numerous short codes. 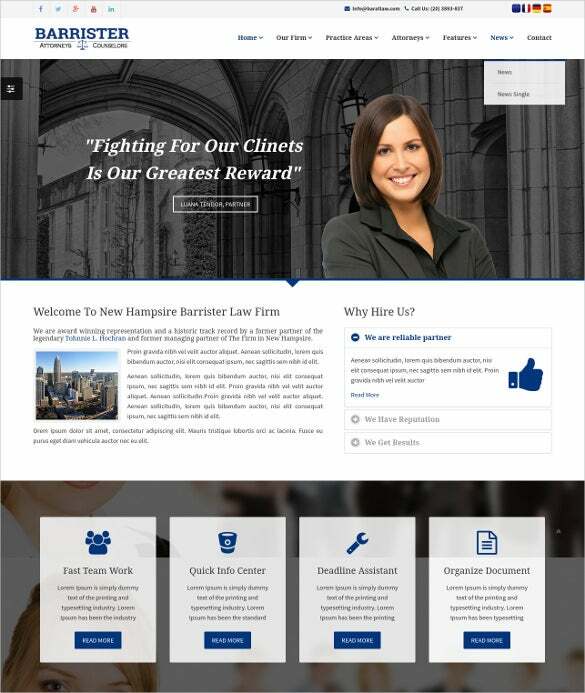 This sample of law and legal firm responsive Joomla template has a Joomla compatibility of 2.5.0- 2.5x and features several features like advanced theme option, alternative module layout, quick start package. The coding is done in 960 grid system along with CSS 3, HTML S and Jquery. 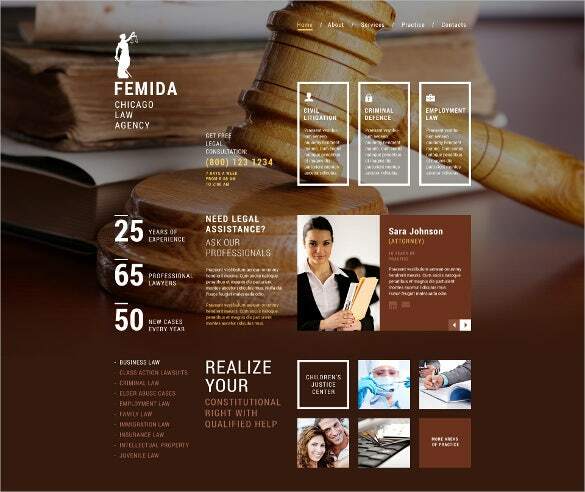 This sample of client law and legal Joomla template has a simple layout and design, where clients can get help regarding certain basic legal queries easily. The website features a 100% responsive design based on latest Bootstrap CSS Framework. The sample has a support font and comes with four different color schemes to help create a professional look. This sample of Law and Legal responsive Joomla template features a responsive design along with an animated portfolio with filters. The pages within the website template can be customized with desired color and design scheme. The template has 3.0-3.5 x Joomla compatibility and uses 1170 grid system for coding purposes. 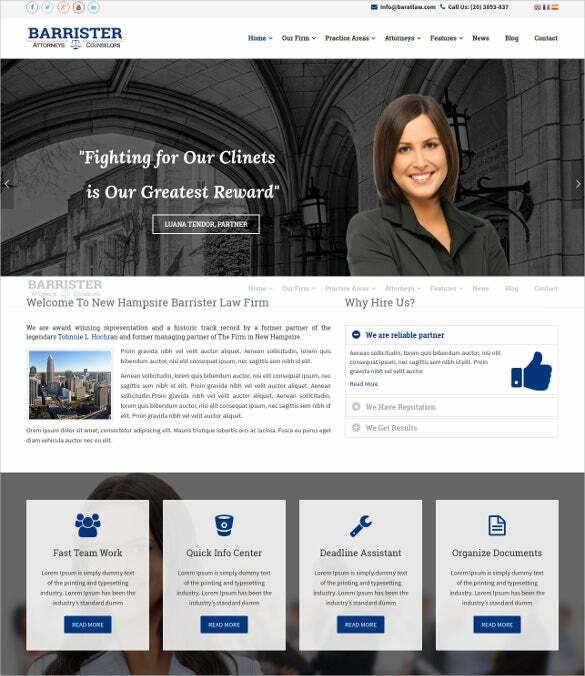 This sample of corporate law and legal WordPress theme is suitable for both big and small scale corporate law firms. The template features a JQuery home page slider along with the featured content widget. The sample also has enough space for social media icons and four custom widgets to completely customize the home page along with a powerful admin panel which would allow a user to change the appearance of the website without any coding knowledge. 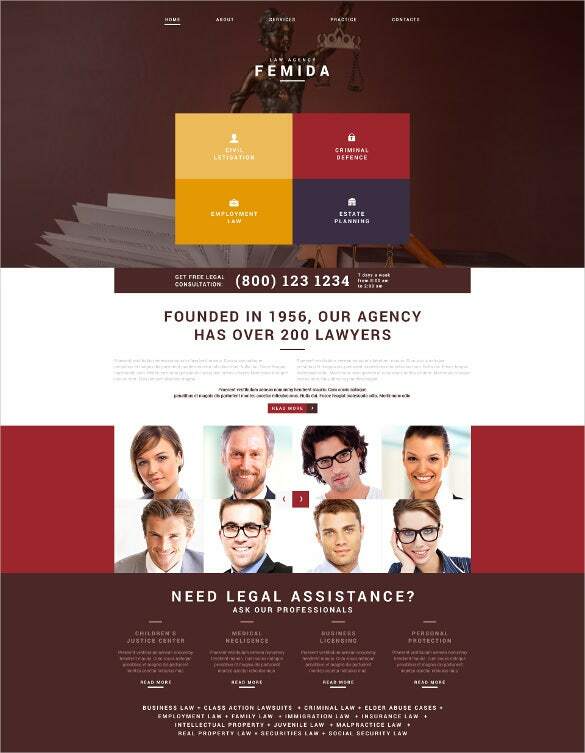 This sample of law and legal agency Joomla template is designed in grey and maroon color scheme. Various functionalities included in this design includes cross bar compatibility, Google maps, admin panel and bootstrap design. The layout consists of two columns and 1600px width. 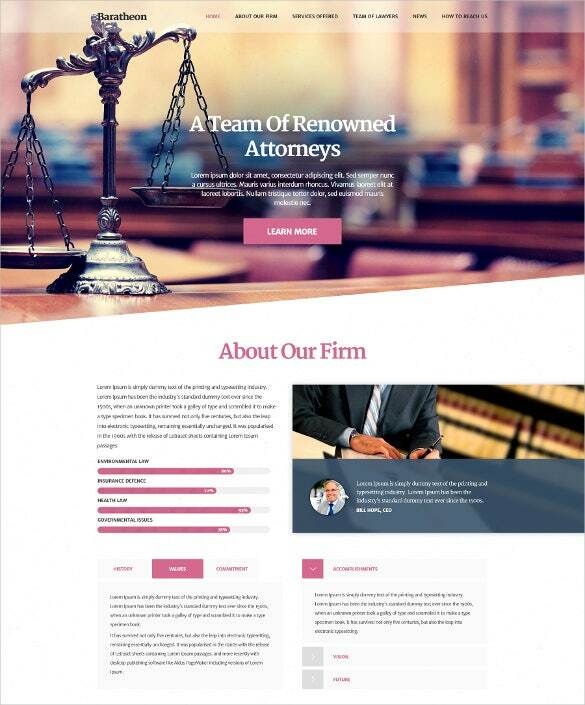 This sample of simple law and legal WordPress theme is a simple theme that is specifically meant for law firms and agencies. The theme consists of helix framework along with a super responsive design and parallax effect. The design has unique look and functionalities along with smooth transition effect and cross browser optimization. 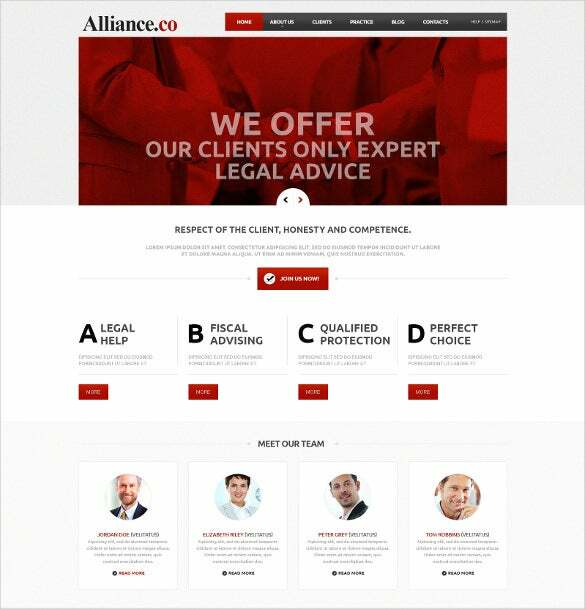 This sample of law and legal adviser Joomla template features four different color schemes. In order to provide a better visual stimulation, the content blacks are arranged in carefully chosen color schemes. The template is SEO compatible and built using a bullet proof code. Other advanced features includes sort able gallery, tooltips and advanced theme options. 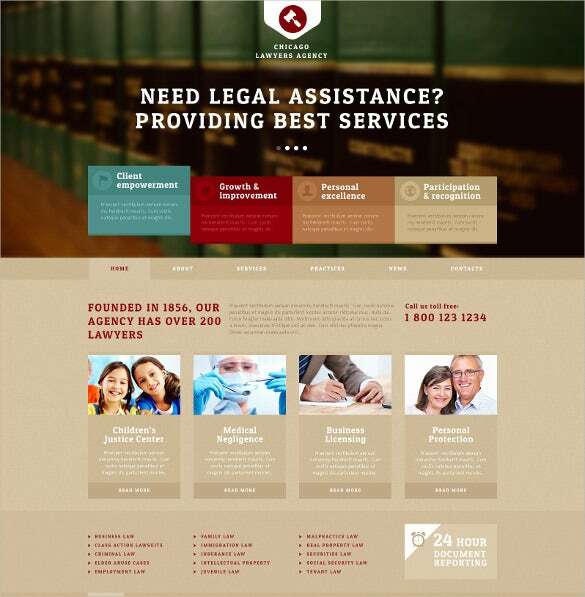 This sample of responsive law and legal offices WordPress design uses a brown and white color combination. The format of the template is very simple and the about me section along with the description of the company’s portfolio is given side by side. Information about the team members and case success are listed down in three different and neat columns. This sample of responsive law and legal Joomla HTML 5 template has a very professional layout that consists of detailed documentation a responsive layout, along with a clean coding procedure and six different types of preset styles. 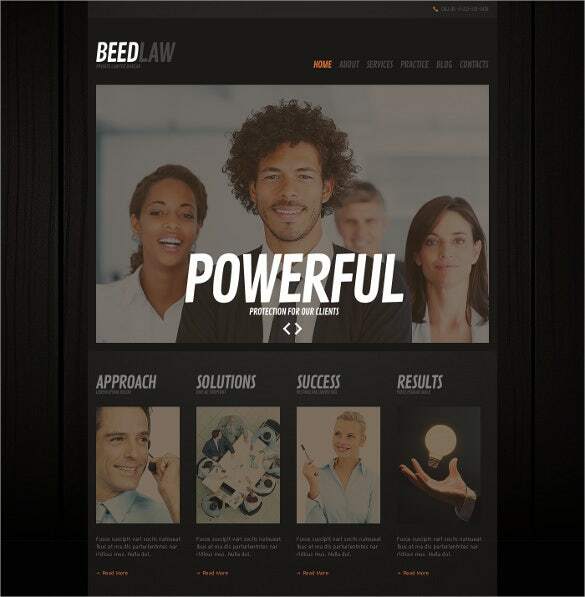 This sample of premium law and legal Joomla HTML 5 template uses HTML 5 and JS animation. The design supports a 2.5.0 Joomla engine. Other feature included in this template includes an admin panel, gantry framework and a width of 1300 PX. The responsive Word Press Joomla Law and Legal offices theme consists of retina ready icons, meant for easy viewing along with easy drag and drop slide show management. A built in short code generator helps in providing a more convenient user interface along with a wide range of theme options that allows a user to customize his website without being bothered about the code. 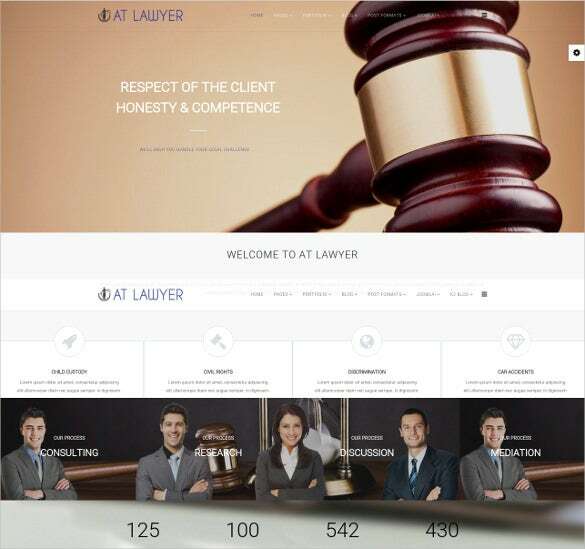 This sample of law and legal firm responsive website Joomla template is a beautiful looking template that is built on the background of a wooden hammer used in court rooms. The design features a responsive framework and a lazy load design for better viewing experience. Other features included in this design includes dropdown menu , sliced Psd, cross browser compatibility, back to top button, Google map and Google web fonts. 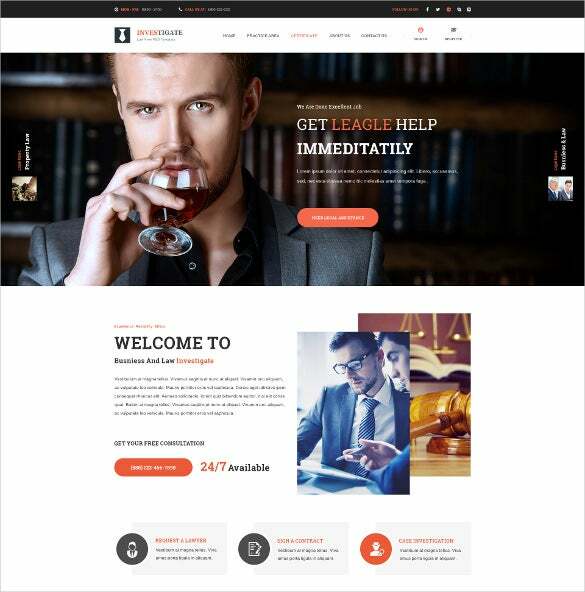 This sample of Law and legal attorney PSD Joomla template is a creative template with 17 different PSD files. IT features a bootstrap grid system along with fully editable framework. The design also has unique layouts and well organized layers which are very easy customize with 1170px grid. The makers of the template also provide 24/7 support their customers face any kind of problems. This sample of Premium law and legal HTML 5 Joomla template is a simple and elegant template meant for the brand conscious people. The template features a built in mega menu along with a mega menu builder. The template also features two different types of nice, clean and professional looking header and footer design. It comes with numerous add on facilities which minimizes the need for any coding knowledge. The templates support multiple languages and are absolutely mobile friendly. These responsive themes are compatible with any form of electric gadgets. Stuffit Expander 10+ is required uncompressing the templates in Mac products.